I guess we’re all accustomed to think of England in terms of Shakespeare’s ‘precious stone set in a silver sea,’ safe behind its watery ramparts with its naval strength resisting all invaders. To the English of an earlier period – from the 8th to the 11th centuries – such a notion would have seemed ridiculous. Instead, the sea, rather than being a defensive wall, was a highway by which successive waves of invaders arrived, bringing destruction and fear in their wake. 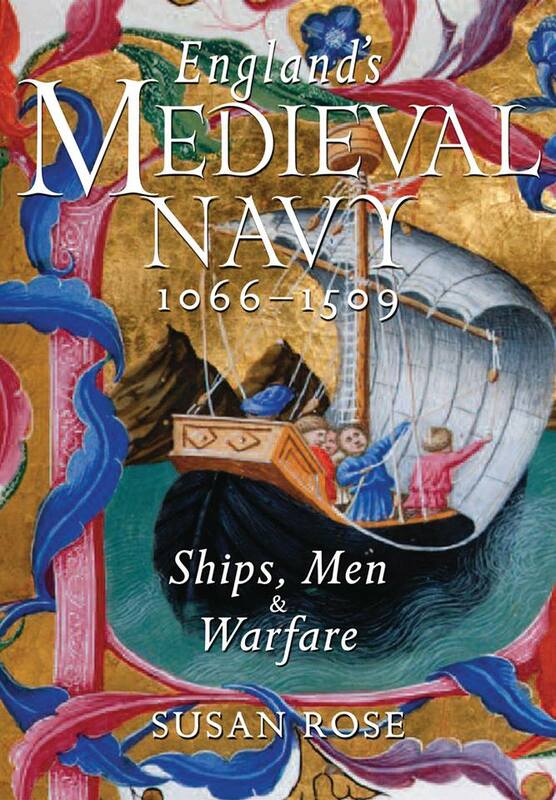 Deploying a wide range of sources, the author of this fascinating publication from Seaforth, Susan Rose, looks at how English kings after the Norman Conquest learnt to use the Navy of England, a term which at this time included all vessels whether Royal or private and no matter what their real purpose – to add to the safety and prosperity of the kingdom. The design and building of ships and harbour facilities, the development of navigation, ship handling, and the world of the seaman are all described, while comparisons with the navies of England’s closest neighbours, with particular focus on France and Scotland, are usefully made. Notable battles including Damme, Dover, Sluys and La Rochelle are included to explain the development of battle tactics and the use of arms during the period. Rose shows how the real aim of successive monarchs was to begin to build ‘the wall’ of England, its naval defences, with a success which was to become so apparent in later centuries. Useful extras in the book include a bibliography, a timeline and additional notes on each chapter. Extensive illustrations, many from contemporary sources, enrich the text.